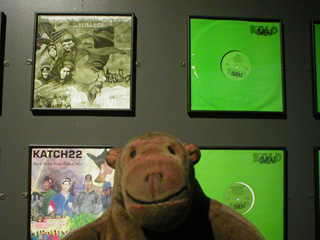 "That green is a little unnerving"
Section 4, Broken Beats 1991-94, told Mr Monkey about the early nineties when record companies decided they prefered acid house dance bands and dropped their hip hop acts. 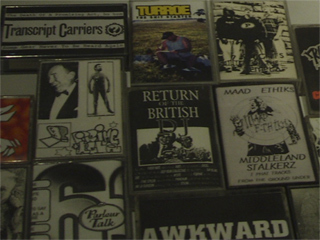 This led to a situation very similar to the punk scene where bands formed their own labels, or released music only on mail-order cassettes. 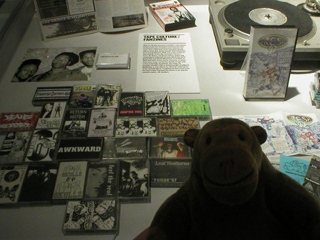 Mr Monkey eyed the virulent green sleeves of the Kold Sweat label warily, and studied collections of cassette tapes.